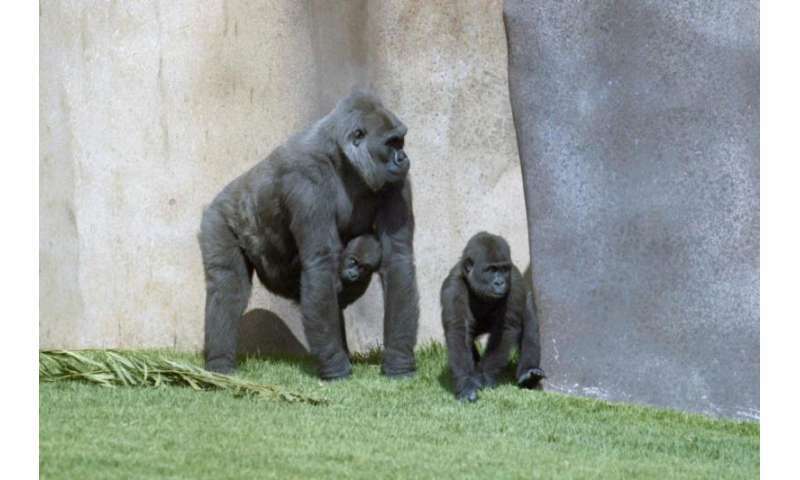 "Surprisingly, we found that in many ways the gorilla Y chromosome is more similar to the human Y chromosome than either is to the chimpanzee Y chromosome," said Kateryna Makova, the Francis R. and Helen M. Pentz Professor of Science at Penn State and one of two corresponding authors of the paper. "In regions of the chromosome where we can align all three species, the sequence similarity fits with what we know about the evolutionary relationships among the species—humans are more closely related to chimpanzees. However, the chimpanzee Y chromosome appears to have undergone more changes in the number of genes and contains a different amount of repetitive elements compared to the human or gorilla. Moreover, a greater proportion of the gorilla Y sequences can be aligned to the human than to the chimpanzee Y chromosome." "Flow-sorting increased the amount of the Y chromosome in our dataset to about thirty percent," said Paul Medvedev, assistant professor of computer science and engineering and of biochemistry and molecular biology at Penn State, the other corresponding author of the paper. "To further enrich our data for the Y chromosome, we developed a computational technique—called RecoverY—to sort the data into Y and non-Y sequences based on how frequently similar sequences appeared in our data." One sequencing technology used by the researchers produces massive amounts of very short reads—about 150 to 250 bases in length. Using this method, the researchers sequenced enough reads to cover the entire length of the Y chromosome about 450 times. The researchers assembled these short reads into longer chunks that they then further connected using the second sequencing technology that produces longer reads—about seven thousand bases in length on average. Another reason that determining the genetic sequence of the Y chromosome is so difficult is that it is composed of an unusually high number of repeated sequences—regions where the sequence of As, Ts, Cs, and Gs are identical, or nearly identical, for thousands or millions of bases in a row. Many of these repeats, including some genes, appear as back-to-back series of the same repeated sequence or as long palindromes which, like the word "racecar," read the same forward and backward. The researchers used an experimental technique—"droplet digital polymerase chain reaction"—to determine the number of copies of the genes that appear in these series. The Y-ch similarity could make sense, since all gorillas and all humans have less sperm competition and historical population sizes than promiscuous chimps/bonobos. (As can be seen from testes size.) Whatever the Y-ch contribute - if any - could have been under less selection. Humans and apes have a similar structure. It is normal to share many common building blocks. This is a natural strategy of every engineer. He tries to use maximum number of standardized and tested components in its design. Man has many elements of its organism and functionality that are more closer to other species than the monkeys. For example the human eyes are most similar in its structure snd funkcionality with the the eyes of the octopuses. In respect to the heart anathomy men and pigs are most close related. Please read the article before commenting falsehoods: ""In regions of the chromosome where we can align all three species, the sequence similarity fits with what we know about the evolutionary relationships among the species—humans are more closely related to chimpanzees." The similarity between the genomes of man and apes do not speak for a common origin but for a common Creator. Man has many organs and structures that are more similar to other species than the apes. Man have 50 % common genetic code with bananas. Are we came from bannanas? Explain to us how can emerge in certain organism ew generatic information and functionality without the ideas, will and technology of inteligent being only by random event (mutations), that is compatible with the old information and functionality? What is genetic diffrence between the men and the horse and the ape and the horse? Man have 50 % common genetic code with bananas. Are we came from bannanas?